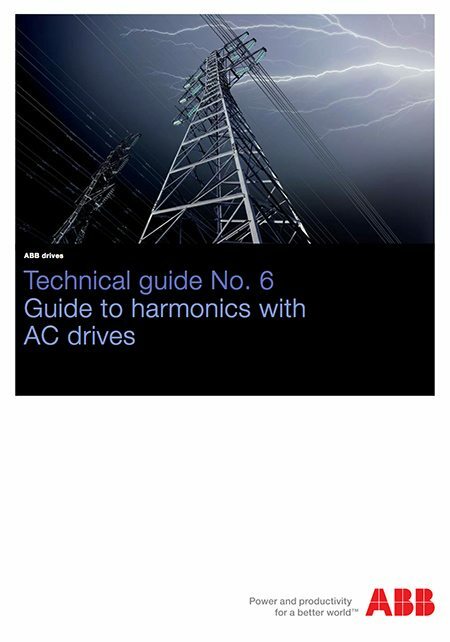 This guide continues ABB’s technical guide series, describing harmonic distortion, its sources and effects, and also distortion calculation and evaluation. Special attention has been given to the methods for reducing harmonics with AC drives. Harmonic currents and voltages are created by non-linear loads connected on the power distribution system. Harmonic distortion is a form of pollution in the electric plant that can cause problems if the sum of the harmonic currents increases above certain limits. All power electronic converters used in different types of electronic systems can increase harmonic disturbances by injecting harmonic currents directly into the grid. Common non-linear loads include: motor starters, variable speed drives, computers and other electronic devices, electronic lighting, welding supplies and uninterrupted power supplies. The effects of harmonics can be overheating of transformers, cables, motors, generators and capacitors connected to the same power supply with the devices generating the harmonics. Electronic displays and lighting may flicker, circuit breakers can trip, computers may fail and metering can give false readings. 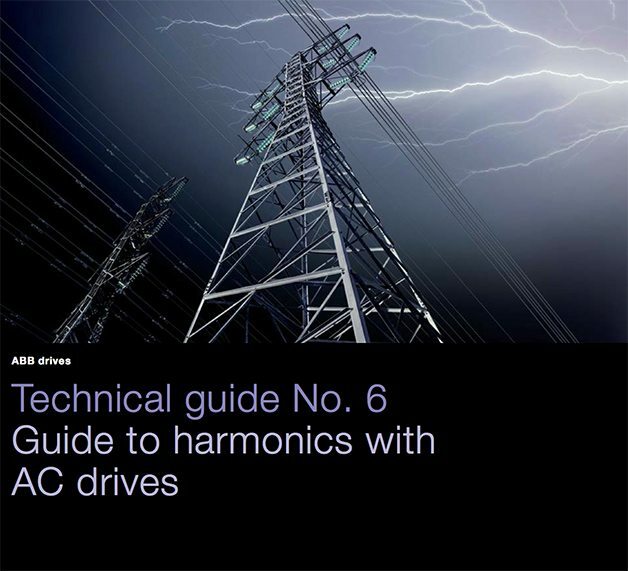 Guide has been published to help customers to understand the possible harmonic problems and make sure the harmonic distortion levels are not excessive. The harmonic currents cause a distortion of the line voltage. In principle the voltage harmonics can be calculated at any point of the network if the harmonic currents and the corresponding source impedance are known.